Receive the benefits of my many years as a massage therapist. Come in and enjoy my quiet, clean, comfortable and professional home office. The Essentrics Workout creates a balanced body whereby the strength in your muscles doesn't inhibit your movement, and your mobility is enhanced by your strength. 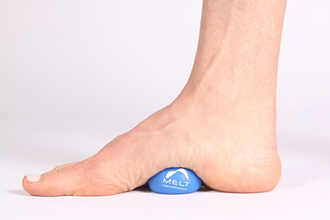 The MELT Method offers a breakthrough self-treatment system to combat chronic pain and erase the effects of aging and active living—in as little as ten minutes a day. In 1989 I attended National Holistic Institute in Emeryville California, the start of many years of training, learning, and loving massage therapy and health education. I have many modalities that I draw from and integrate into what I feel is needed at the time of your appointment. There are many benefits to massage and regular massage therapy is by far the best way to receive those benefits. There is no substitute for human touch. When pain becomes chronic, the body’s natural state of stability and balance declines.When a body isn’t stable, it can’t be efficiently mobile. By learning how to MELT, you can learn to actively partake in decreasing stuck stress daily so it doesn’t accumulate and cause symptoms that sap your vitality and energy. I believe Melt is an excellent addition to your self care regime and that it is perfect between massage appointments. I would be in pain after walking my dog! I knew that I needed something that would help me to do all the things I want to do. Essentrics has been my answer and I am now happily teaching here in the Valley of the Moon. Essentrics is a a dynamic low impact workout that will move every joint and muscle in the body stretch and strengthen relax and energize. My hope is that you leave the class feeling really good in your body. I like to call it a wonderful fascial workout. Oh and I now walk 2 happy dogs pain free.